HUBBARD, OH- Even though Lakeview collected seven hits to Hubbard’s six, they still fell 8-1 on Tuesday. In the second inning, Hubbard got their offense started. A passed ball allowed Ryser to score one run for Hubbard. Hubbard pulled away for good with five runs in the third inning. In the third, an error scored two runs for Hubbard and Sydney Bowser homered, scoring three runs for the Eagles. Grace Narkum was the winning pitcher for Hubbard. She went seven innings, allowing one run on seven hits, striking out seven and walking one. Cait Kelm took the loss for Lakeview. She went five innings, allowing eight runs on four hits and striking out seven. Beady Titus led Lakeview with two hits in four at-bats. Hubbard tallied six hits. 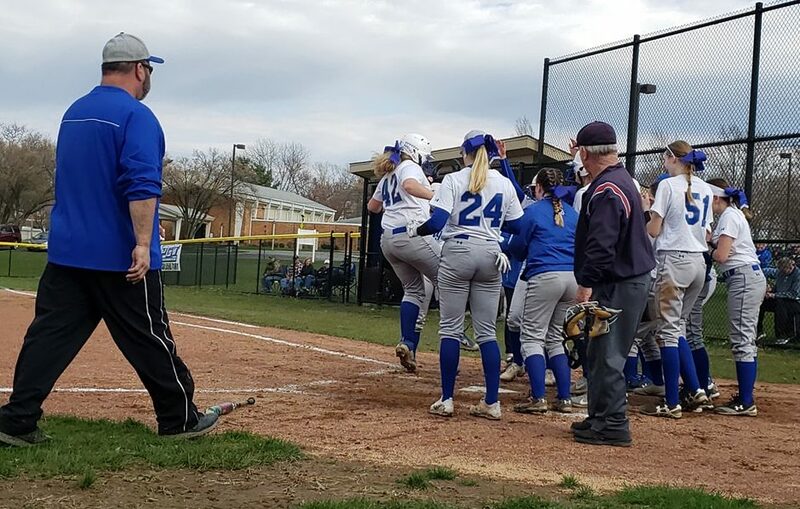 Giavanna Hosack and Gillian Ryser both managed multiple hits for Hubbard. Hubbard didn’t commit a single error in the field. Hannah Kist had seven chances in the field, the most on the team.